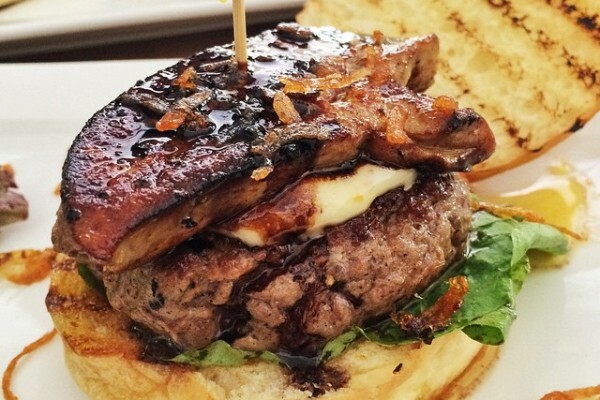 6 Burgers In Bali That Will Melt In Your Mouth! 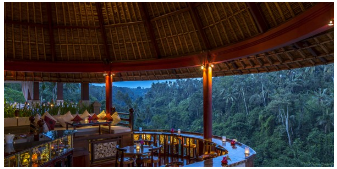 HomeArticleRestaurants6 Burgers In Bali That Will Melt In Your Mouth! Sometimes you don’t need anything else except a nice big bite of a juicy burger on a hot sunny day. Or maybe two bites because it’s too hot. Or three bites to get you fully recharged for the day. Or more. Don’t worry. 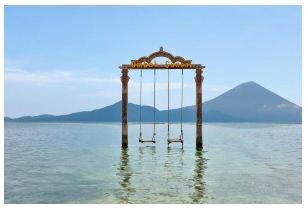 The moment you step your feet on the Island of Paradise, you are allowed to expect that this place is the home of everything heavenly, from the beaches, the hang out spots, the local food, and of course, the burger places! Rejoice now, because we are giving you an ultimate list of the burger places that you must try in Bali! Everything about this burger place is to die for, from the unique menu selection, the juicy beef patty, the aromatic bun–yes, every. single. thing. For a meal with top quality like this, I don’t mind spending more than Rp. 100.000. It makes sense why this one’s voted as the best burger by Men’s Health Singapore. See, even a health magazine couldn’t resist its heavenly taste! Ordering a plate of local dishes at a place that’s situated over lavish rice paddies? That concept gets pretty oversold by time. Try having some succulent beef burger at that sort of place and you’ll come back for more. Don’t forget to order their RedSalt Burger that comes with a flavorful beef patty and a set of tasty buns. Just to give you a little warning, the crispy potatoes that come along with it are so addictive! This is not just an ordinary burger place. I repeat, this is not just an ordinary burger place. Your burger place taken to the next level! Yes, only at WahWah, you can enjoy all the pleasures in life, including refreshing summer cocktails, sophisticated minimalist interior, and of course, zero-bad-fat burgers! Impossible is nothing for them. They only use fresh, tender Wagyu burgers with all the bad fats removed, only ‘ol the good thang remaining. My personal favorite would be the one with foie gras on top. Worth every penny. Let’s begin from the flavorful bottom bun, topped with a slice of fresh red tomato, delicious hash brown cooked to perfection, sunny side up egg, juicy Australian beef patty, fresh lettuce, and of course, the climax is the BACON. This burger is basically all the good things in life in one bite. Thank you, Stellar Burger (Rp. 82.000), for living up to your name perfectly. 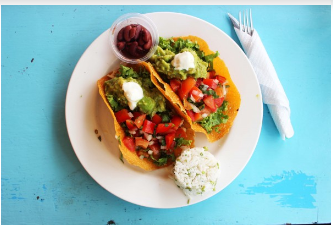 Other than gorgeous-looking and tasty acai bowls and muesli dishes, this amazing breakfast spot also serves a scrumptious selection of organic yet tasty burgers! One of them would be the refreshing Fish Burger (around Rp. 60.000) as shown above! 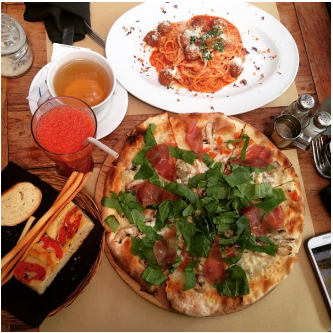 The size is sufficiently satisfying, comes with a bowl of fresh and colorful salad. The unforgettable breakfast experience doesn’t stop there yet. The place is built in a cute tree-house model, making the ambience so uplifting and nice-looking. The solution to all the problems in the world. Enough said. 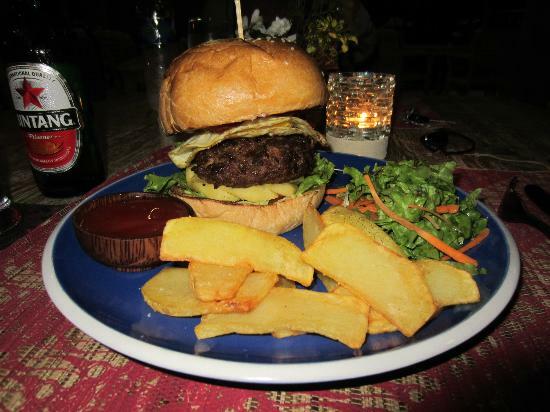 The post 6 Burgers In Bali That Will Melt In Your Mouth! appeared first on Qraved Journal.